Ten-man Italy claimed a hard-fought win in Israel in their opening World Cup qualifier – but not before Tel Aviv’s Tal Ben Haim scored a wonder-goal. 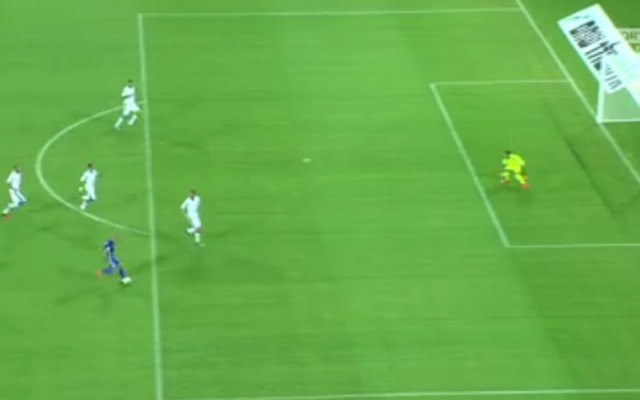 The Maccabi Tel Aviv winger scored glorious chip 10 minutes before half-time, but, despite playing with an extra man for much of the second period Israel could not get an equaliser, losing to the Euro 2016 finalists 3-1. 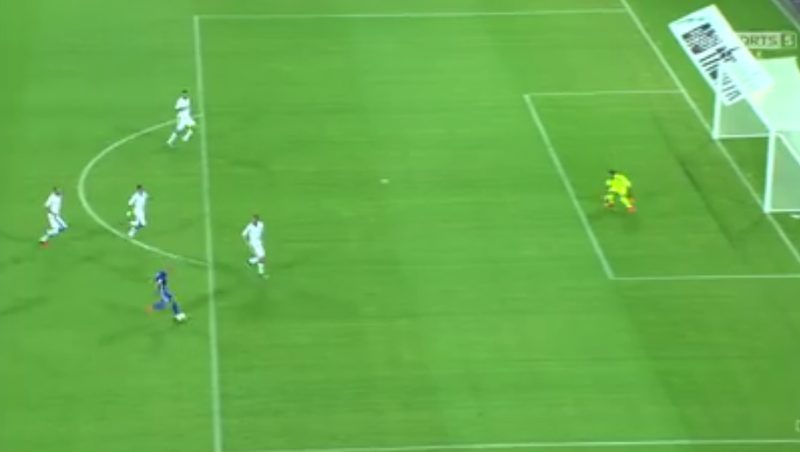 Italy went in front after 14 minutes with the tourists making it two on the half-hour through a penalty which sent Israeli goalkeeper David Goresh the wrong way. The hosts were back in it five minutes later, through Ben Haim’s chip on the right edge of the area, which left Italy’s experienced keeper Gianluigi Buffon stranded as it dropped into the far top corner to halve the deficit. Celtic star Nir Bitton’s long-range effort was parried by Buffon as Israel threatened at the start of the second half and there was more good news for the home side in the 55th minute when Chiellini saw red. The defender, booked in the 28th minute, picked up a second yellow after he was ruled to have knocked over Tomer Hemed. Israel probed in search of a leveller, never came close to getting one as the Italians restricted them largely to long-range efforts. The visitors killed the contest in the 83rd minute when Immobile, a 70th-minute replacement for Eder, brushed his defender off the ball on the right of the area before lashing a fine low shot across Goresh and into the far corner.